New boss has been named. Six years after establishing The Funding Network in Australia and growing it to be one of the most respected collective giving models in Australia, CEO Lisa Cotton will step down in February 2018. “Under Lisa’s leadership, The Funding Network (TFN) has deeply impacted both the social and philanthropic sectors in Australia and we’re so proud of what this lean organisation has achieved,” TFN Chairman, Mark Osborn said. “Lisa has worked with a terrific team to build a strong community of corporate, philanthropic, and government partners who, along with nearly 5,000 individuals have come together to support more than 165 grassroots non-profit organisations both locally and abroad”. Since its inception TFN Australia has facilitated more than $6.8 million in funding, plus extensive in-kind support to grassroots non-profits working across a range of social issue areas. This year, TFN’s work has been widely recognised by our peers by being awarded the Anthill Smart 100 Innovations Award, and the Philanthropy Australia Small Grant of the Year. 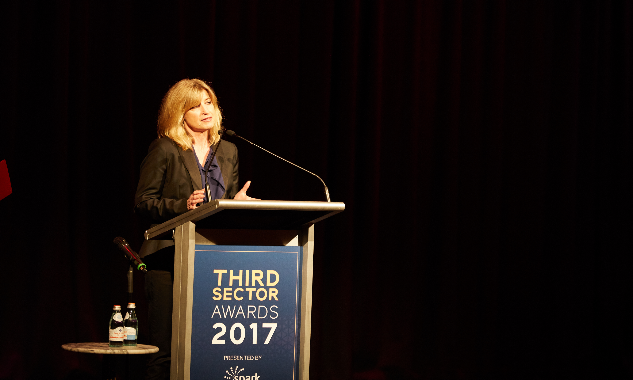 Lisa Cotton was included as one of ProBono Australia’s Impact 25 list of sector leaders and was named Third Sector’s CEO of the Year. “Lisa’s vision and uncompromising commitment to getting TFN off the ground and flourishing has contributed to the growth of the broader philanthropic ecosystem,” Osborn said. “TFN’s ability to think big and move fast, and the team’s fundamental belief in human dignity has been central to our success. “Lisa is leaving TFN in an extremely strong position. Her view is that as TFN embarks on its next stage of growth and development, it’s a perfect time to bring a new leader onboard”, he said. Cotton will be succeeded by Julie McDonald, currently CEO of The Kolling Foundation where she’s responsible for building and leading the performance of the foundation on behalf of Royal North Shore Hospital, Ryde Hospital and the Kolling Institute of Research. Prior to that, McDonald was General Manager Fundraising and Communications for St Vincent de Paul Society.